At the end of the day, we need more puzzle RPGs. The genre is simply great. 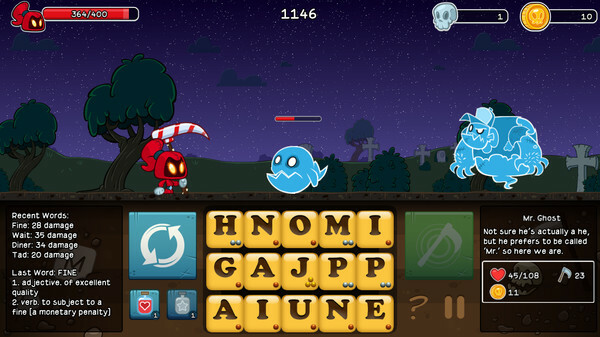 It mixes the casual nature of things like Bejeweled and, as in this case, Bookworm with the obsessive level grinding and character improvement of and RPG. Not only are you getting your casual fix, but you’re also working towards a goal. 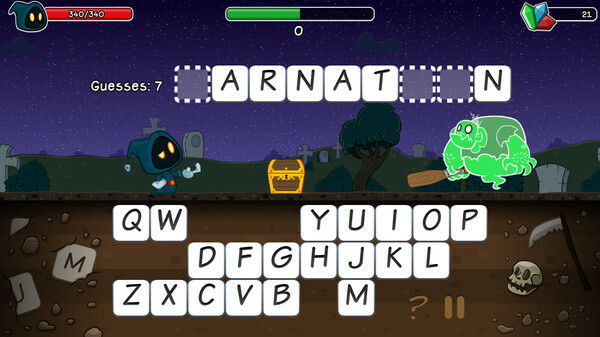 In Letter Quest, that goal is to get the grim reaper a pizza. I’m serious. The plot involves Grimm heading out to get a pizza. For some reason, a legion of monsters and demon rabbits are out to stop him. There’s little to no explanation beyond that. 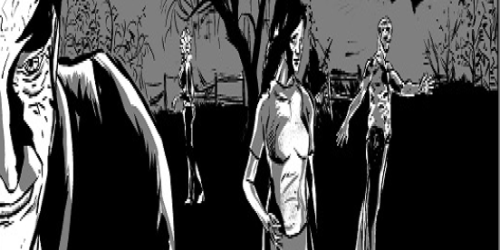 In fact, the game’s “story” takes place over the course of a handful of comic book panels. You could fit all of the exposition on an index card and still leave room for a recipe or something. This kind of game isn’t about the story though. There are two modes to contend with. The “story” mode has you going through thirty main levels and ten bonus stages to reach the end. Each level has four different stars that represent objectives for you to complete one at a time. 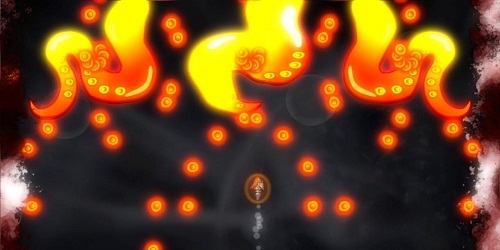 The first time you try a level, you’re simply trying to get to the end. Subsequent stars may be earned by completing a time trial or taking out a specialized gauntlet of tougher enemies. If you’re in the mood for a more straight-forward challenge, you can try out Endless Mode where you simply play until you die. It’s not heavy on the options, but the game’s reasonable price point makes this palatable. This is a remastered game, so it has in fact seen the light of day before. In fact, the game original came out just last year. It’s the presentation that have seen the biggest overhaul. Improved resolution, added character animations, and a snazzy new soundtrack are the notable upgrades. However, if you liked the old theme music, you can switch back in the options menu. It’s a good looking and sounding game. The art style is endearing, and bright colors help it pop off the screen. It might not be the next big innovation in detailed graphics, but it gets the job done well enough. In terms of gameplay, it’s the basics are simple. When you start a level, your character will saunter on over to an enemy. Then you’ll have a grid of various letters to choose from. Your goal is to use that random jumble of letters to create words. Based on the point value of your word, you’ll attack and do damage. Then the enemy hits back. This process repeats until one of you runs out of HP. It’s worth noting that the enemies don’t have to spell words, so they don’t affect the grid in that way. 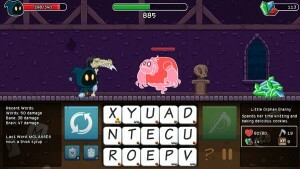 Words you use have to be at least three letters in length and included in the game’s admittedly massive dictionary. Each letter is assigned a point value based on how hard it is to fit in a word. Vowels are often worth one point, while something like “Z” is worth three. It’s a fair system that rewards a strong vocabulary and punishes those who try to get by spelling “cat” a hundred times. It’s time to talk about the RPG elements. Defeating enemies and completing quests gets you crystals. These crystals work as a combination currency/experience you use to upgrade your character. You have various stats you increase. These include, health, damage, defense, chance to dodge, effective of potions, etc. 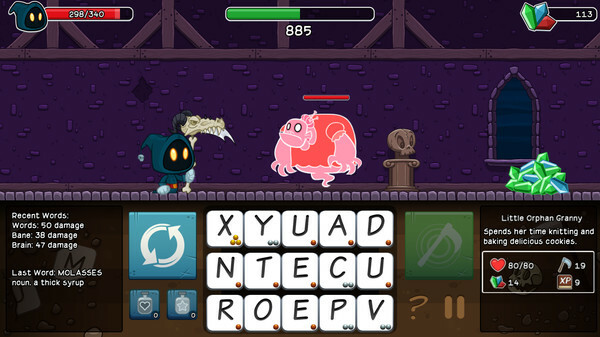 You can also equip books that add passive effects, such as giving you bonuses for using words with double letters. Then there are items you can buy. Potions that restore health and clear the board are useful, as are different weapons that can change your strategy. You have complete freedom in deciding what you upgrade, which allows for some diversity in style. Things get a little hectic in combat thanks to enemies affecting the board. While they don’t steal letters and spell words, they do create various negative status effects on tiles. For example, poison tiles damage you if you use them in a word, cracked tiles deal less damage, plague tiles deal no damage and spread to other tiles, and stone tiles simply can’t be used. There are other effects as well, but you get the idea. Trying to avoid negative effects like these while still spelling out a big word is a mini-game in itself. There are few other things to talk about. You can come across a merchant in the field who will sell you buffs that last for a few turns. Draining life, dealing extra damage, and reducing incoming damage are some of the options. There are also treasure chests that contain bonuses as well. In order to get at the good, however, you have to play a game of hangman. Where the game loses points is originality. This game is strikingly similar to Bookworm Adventures. It uses the same basic structure from top to bottom. Sure, there are some stylistic and mechanical differences. They are minor. While I hesitate to call it a straight up clone, it’s worth noting. Despite that, the game is solid and strangely addicting. It’s quite easy to get in a zone where you try to earn each star in a level before moving on to the next. There’s enough challenge here to get your brain wracking in search of large words, while the game will tell you what the giant word you just spelled actually means. 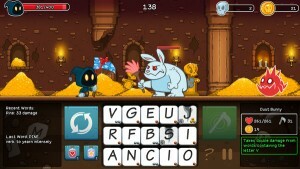 It’s a nice touch, and the game is simply worth a look to fans of word games in general. 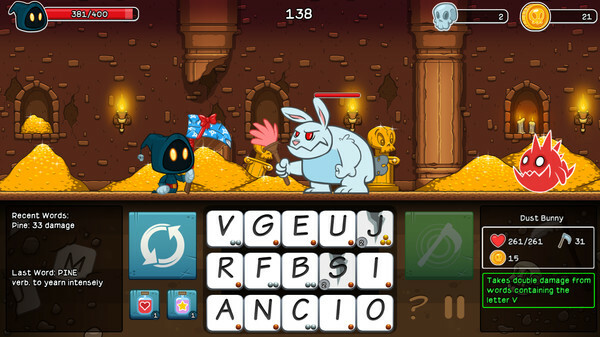 Letter Quest has been remastered and the end result is an overall better game. Updated graphics, a new mode, and a subjectively better soundtrack round out the improvements from the old. In general, the game is fun, challenging, and addicting, as any good puzzle RPG should be. On the downside, the game is perhaps a bit too close to Bookworm Adventures for comfort. 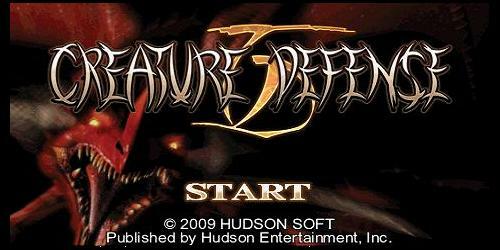 However, if you played that game and want more of the same, this is right up your alley.